As an undergraduate I studied environmental science, government policy and business. I saw law school as a way of weaving all three disciplines into a challenging, meaningful and productive career. Each day I develop legal strategies to further clients’ business interests in an environmentally principled way. Mr. Roth has over 25 years of experience in the representation of companies, businesses and individuals in a wide variety of complex environmental, health and safety matters. He assists clients in successfully resolving compliance and enforcement issues that arise under federal and state statutes, including New Jersey’s Industrial Site Recovery Act (ISRA) and Site Remediation Reform Act (SRRA), the Resource Conservation and Recovery Act (RCRA), the Clean Water Act, the Toxic Substances Control Act (TSCA), the Occupational Safety and Health Act (OSHA), and Right-to-Know laws. Mr. Roth’s practice includes counseling clients engaged in state brownfields redevelopment and other cleanup projects. He works with consultants and experts to develop cost effective strategies for complying with site investigation and remediation rules and guidance, including under the New Jersey Department of Environmental Protection’s Technical Requirements for Site Remediation (TRSR) and Administrative Requirements for the Remediation of Contaminated Sites (ARRCS) rules and Licensed Site Remediation Professional (LSRP) program. 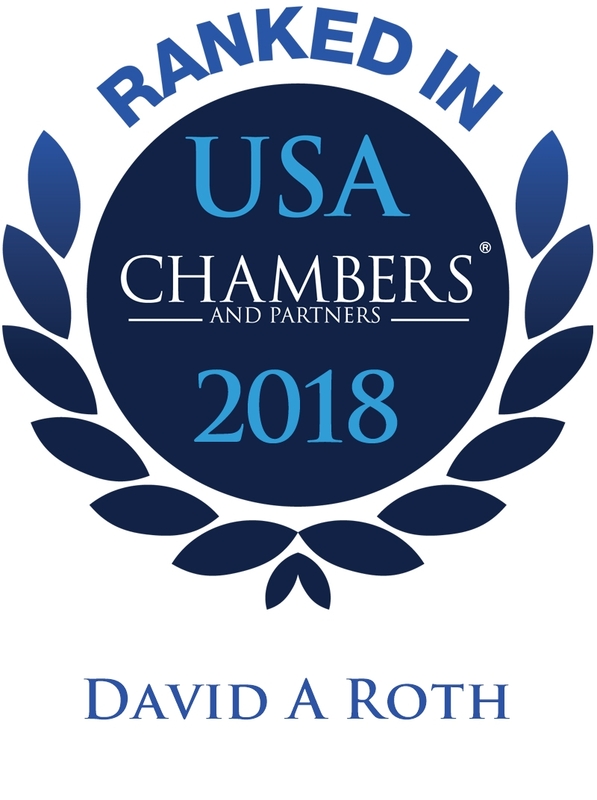 Mr. Roth represents clients concerning the environmental aspects of business transactions, such as the purchase and sale of real estate, leasing, mergers and acquisitions, and financing. His role involves assisting with due diligence, negotiating liability allocation and other contract terms, and structuring post-closing agreements dealing with site remediation, engineering and institutional controls, land use restrictions, operation and maintenance, reporting and other long-term requirements and related financial obligations. Mr. Roth represents owners/operators, generators and other potentially responsible parties (PRPs) in private and government litigation, cost allocation and other proceedings involving the federal Comprehensive Environmental Response, Compensation, and Liability Act (CERCLA or Superfund), New Jersey’s Spill Compensation and Control Act (Spill Act) and other state superfund laws, at federal and state hazardous waste disposal and contamination sites throughout the United States. Mr. Roth was a member of the firm's team that advised an international Fortune 500 retailer with regard to millions of square feet of development in various locales, including redevelopment areas, tax abatement (PILOT) agreements, environmental remediation, redevelopment plans, state, regional, county and local approvals, zoning permits and certifications, miscellaneous agreements, construction permitting, and assisted in drafting leasing provisions. Mr. Roth played a key role in the firm’s representation of the Camden Redevelopment Agency in its negotiations with the Salvation Army for the remediation, acquisition and redevelopment of a former 85-acre landfill in Camden. The location is now the site of the 120,000 square foot Ray and Joan Kroc Corps Community Center, which has brought employment opportunities, a broad range of recreational facilities and numerous additional benefits to the predominantly low-income local community since opening in October of 2014. Mr. Roth negotiated an environmental remediation agreement for the property. The firm’s attorneys also handled the negotiation of a redevelopment agreement for the project and handled the closing for the sale of the property. Our press release is available here. Speaker, TSCA’s New Amendments to the Inventory Rule: Are You Ready for What Lies Ahead?